Obituary for Robert Thomas Gerald Hannon | Doolittle Funeral Service, Inc.
Robert Thomas Gerald Hannon, 73, of Cromwell, husband of the late Sherry (Rossitto) Hannon, passed away on Monday, September 3, 2018 at his home. Born in Hartford, he was the son of the late George and Mary (Stanton) Hannon. Bob being from East Hartford moved to Cromwell in 1983. He was a member of Saint John Church. 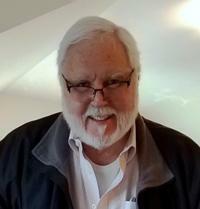 Bob was a residential builder for years in the Greater Hartford area. He also did commercial work on railroad and post office buildings around the United States. Bob enjoyed many things including traveling, the ocean, the outdoors and photography. He was an avid collector of model trains and had a passion for any type of tool, always purchasing something every time he went to the hardware store. Bob was always helping family with their projects and spending time at the sports and activities of his grandchildren whom he loved very much. Bob is survived by his son, Matthew L. Hannon and his wife Katie of Bolton; his daughter, Michelle L. Hannon of Mystic; three step children, Richard Basile and his wife, Lizette of Killingworth, Vincent Basile of Palm Beach Garden, FL and Shirley LaRosa and her husband, Michael of Higganum; a brother, George W. Hannon, Jr. of Old Saybrook; eight grandchildren, Dominic Basile, Paige Basile, Daniel LaRosa, Anthony Basile, Jillian LaRosa, Elizabeth Hannon, Audrey LaRosa and Sydney Hannon and two great grandchildren, Carson Basile and Ariyah Basile. Along with his wife and parents, Bob was predeceased by two sisters, Joan Sullivan and Virginia McGann and a grandson, Vincent Basile. A Mass of Christian Burial will be celebrated on Tuesday, September 11 at 10:00am at Saint John Church, 5 Saint John Court, Cromwell. Burial will be in Rose Hill Memorial Park in Rocky Hill. Family and friends may call on Monday evening from 4:00 to 7:00 pm at the Cromwell Funeral Home, 506 Main Street, Cromwell. In lieu of flowers, donations in Bob’s memory may be made to Brigham and Women’s Hospital, 75 Francis Street, Boston, MA 02115 or Saint Jude Children’s Research Hospital, P.O. Box 1000 Dept. 142, Memphis, TN 38101-9908. To share memories or send condolences to the family, please visit www.doolittlefuneralservice.com.